Latest post Wed, Aug 12 2015 12:55 AM by hbrock. 3 replies. 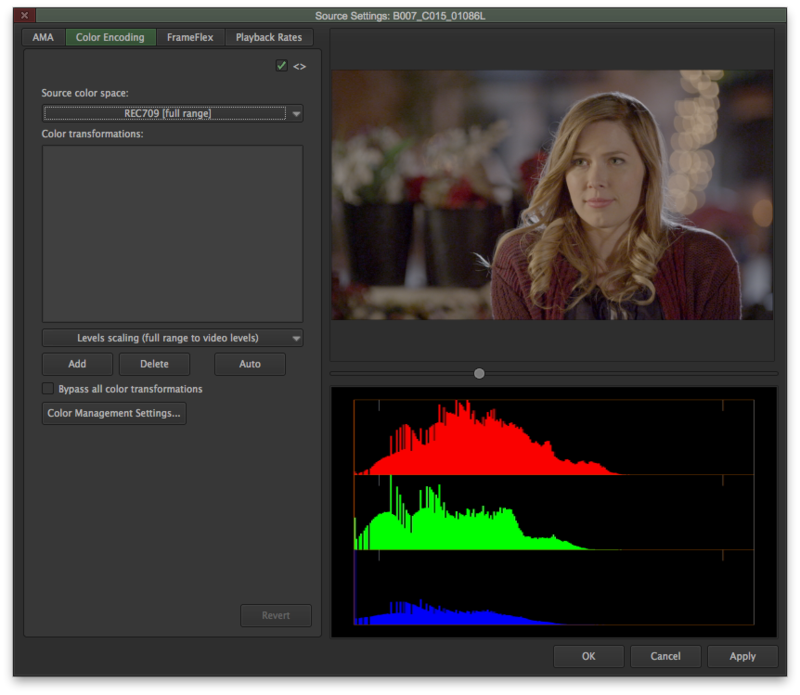 I have been having issues with my colorist shooting back my outputs saying they are having issues with the color. No other information has really been given to me. We sent them the bin with the sequence and one raw R3D file to do a test. They say they created in the correct way and then tried to recreate my "wrong settings" and said they pretty much got it to look the same as mine by adding a a Legal to Full LUT. They think this is the problem. 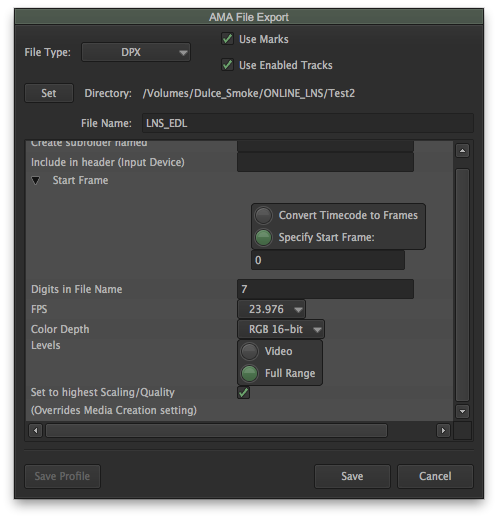 R3D files are transcoded to offline in RedCineXPro and brought into Avid. Editing magic happens and we eventually get picture lock. I open all the R3D files in RedCineXPro, revert to camera settings (as shot) and apply a RedLogFilm look to it. Nothing else is changed besides the gamma space from RedGamma4 to RedLogFilm. I then AMA all these R3D files into Avid and relink them to the sequence. Everything comes online and all my footage is in RedLogFilm. http://i.imgur.com/u1psYF3.png http://i.imgur.com/AE0Bldi.png I do refresh the sequence to make sure the RedLogFilm is actually applied. What source color space is generally used for r3d files? What project settings color space is generally used for projects using r3d? Any help is appreciated and I'll be here to try and answer any questions! Thanks! The first thing to do is not select “full range”. You want to select “video” for levels. Avid’s wording has been confusing for many users for many years and has been addressed somewhat in the most recent release. See http://www.jobterburg.nl/Publications/601_709_RGB.pdf for more info on that. This definitely seemed to fix the issue. You should check your settings in Red Cine Pro to see what you're sending out. If you're applying the LUT in Red Cine and making Video level (601/709) media then applying the RedLogFilm setting in the AMA Source Setting could be compounding the LUT by applying it twice. Anytime you see vertical slices in the histogram it's a "sign of bad things to come".